Is this Bud really wiser? Budweiser could have quite the marketing challenge in front of it as it prepares to roll out a new beer, called Budweiser Extra—aka B(E)—nationally. 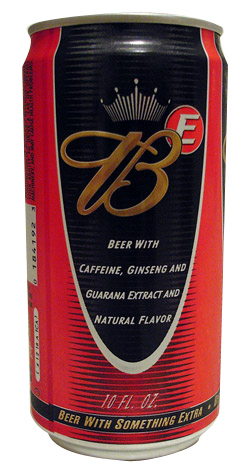 The new brew, which has been test-marketed in dozens of cities, contains caffeine, ginseng, guarina extract and fruit flavors in an apparent attempt to grab market share from cocktails that contain Red Bull and its competitors as mixers. We’re not sure we want to know.